Components for Good Network Cable Management? ← How Does LC Uniboot Patch Cord Reverse Polarity? What Components Should Be Used to Achieve Good Network Cable Management? “Before and After cabling” always seems to be a popular topic in the networking communities and social networks. This made me think of a common saying “All men search for beauty”. However, good cabling is not only good for beauty but also good for an efficient cable management and maintenance. 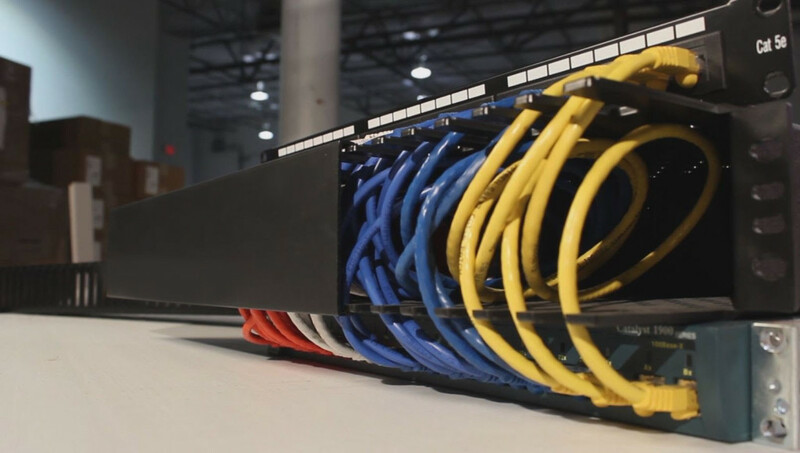 This is why good network cable management is becoming more and more necessary today. So, how to make the cabling from a poor “Before” to the neat and tidy “After”? And what components should be used to achieve the “perfect change”? Why Is Important to Make “Before” to “After” When Dealing With Network Cable Management? 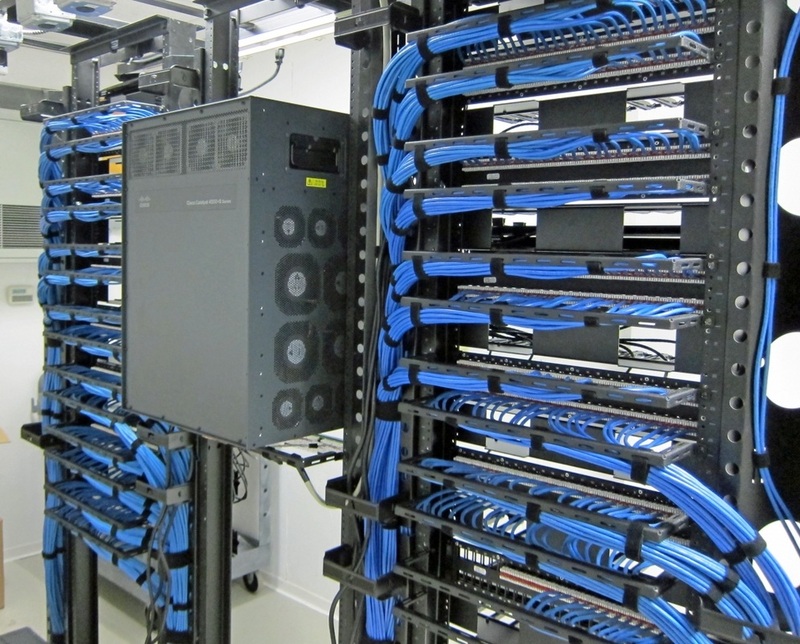 The “Before” cabling, generally refers to the cabling with poor network cable management. As we know, most of the network issues and network failures are caused by the poor cable management. In contrast, the “After” cabling with good network cable management is easy to maintain and troubleshooting. The following contents respectively list the problems created by poor cable management and benefits of good cable management that may explain why it is important to make “Before” to “After”. Signal interference and crosstalk due to improper placement of data and power cables. Excess power and data cabling that is improperly arranged and secured. Cable may damage due to improper bends, movement or sharp edges. Rack-mounted components are blocked by improperly routed cables. Cooling and airflow restriction resulting from poor cable placement. Increased time and possibility of error for maintenance, troubleshooting and cabling changes. Inability to make changes to equipment blocked by cabling without creating an outage. Problems with documentation for compliance as cabling becomes impossible to trace. Reduced signal interference that will enhance the performance of the system. Reduced maintenance time and improves safety thanks to easier accessing to internal rack components. Enhanced cooler performance within the rack thanks to proper positioning of cables to avoid air flow blockage. Provides the ability to scale and adapt to changes in the IT infrastructure while minimizing service time. To shift the poor managed “Before” cabling to well-managed “After” cabling is not as difficult as you think. Of course, a well thought out plan and skilled labor team are required. In addition, you may need some components which are critical for getting good performance. 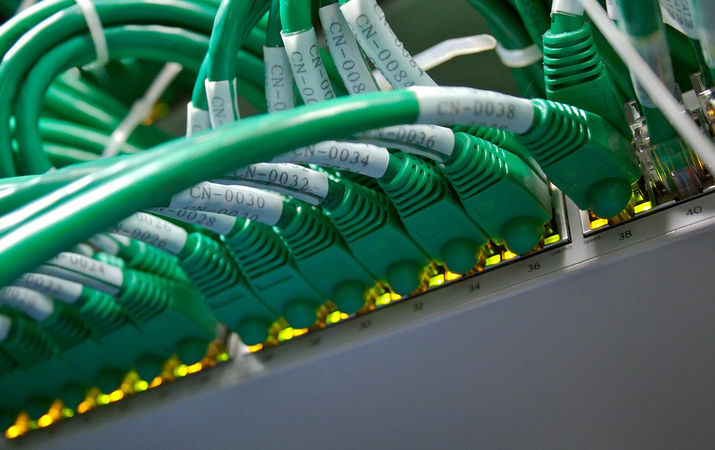 Patch cords are used to connect end devices to patch panel ports and to connect ports between two local patch panels. As it is the component that will experience the most wear and tear, to select a quality-assured cables that comply with the related standards is very important. Additionally, you should consider the related parameters of the patch cords based on both current and future requirement, such as color codes, lengths, thickness, etc. Patch panel allows easy management of patch cords and link the cabling distribution areas. According to copper and fiber cabling, you should choose the fiber patch panel (LC) and UTP modular patch panel (RJ45 connector). In addition, for high-density applications, angled patch panels may be an ideal solution which allows cables to be routed directly into the vertical cable managers. Other things such as space, density, compatibility, etc., should be considered during selection. Cable managers, usually consist of horizontal cable managers and vertical cable managers. The former allows neat and proper routing of the patch cords from equipment in racks and protect cables from damage. In general, 1U and 2U horizontal cable managers are the most commonly used versions and are available in metal or plastic material. Other configurations such as dust cover, ring and so on are optional according to your requirement. Vertical cable managers are installed between racks so that cables are routed from the horizontal cable managers into the vertical cable managers. In general, vertical cable managers with 4″ width for edge racks and 6″ width for distribution racks as well as 6″ depth are typical. Always remember that allow for 50% growth of cables when planning the width and depth of the vertical cable managers. Cable ties are essential components to organize a bulk of cables. Now, Velcro and zip ties are two commonly used cable ties. But Velcro is more preferred by users as zip ties may cause over-tighten, crushing the cables and impacting performance. Cable labels play an important role in cable tracing. Users can easy to identify and trace the cable during daily maintenance troubleshooting. Always remember to do correct labeling for your cabling. What are you waiting for? 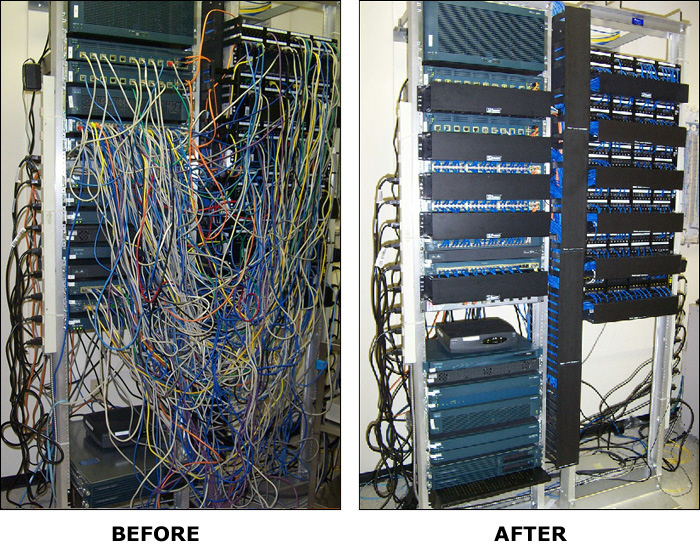 To manage your cabling from “Before” to “After” now. You may find that it is not just a display of your work. More benefits you will get in both current and future work. This entry was posted in Cables Management and tagged cable management, LC connectors, Network Cabling, rj45 connector. Bookmark the permalink.